The Black & Tan Canvas Women's 3R casual shoe is simple and classic. 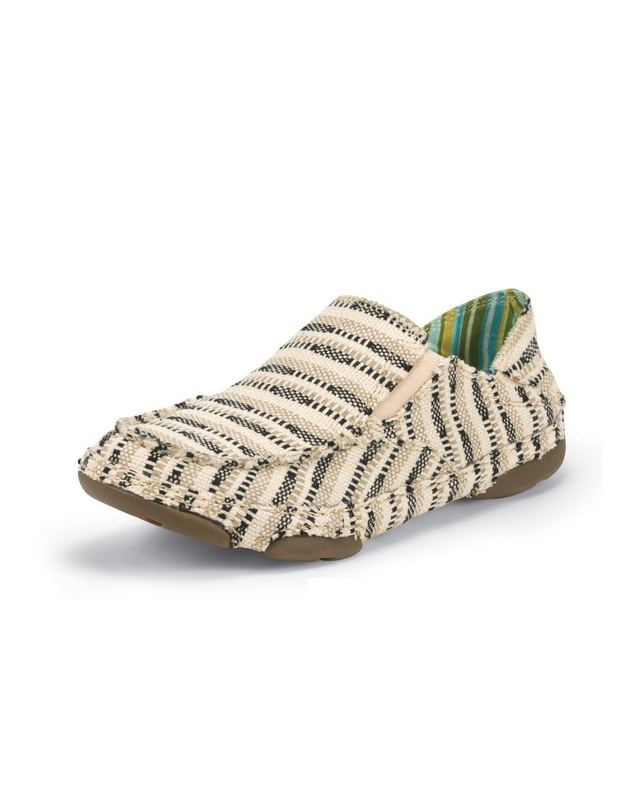 The cream with a black and tan striped canvas exterior has a green tonal striped interior that's made for versatility and comfort. The cushioned insole provides support and a relaxed fit whether you're on the go or lounging at the house.